The orange spot on the ventral abdomen IDs this as Iris oratoria. The abbreviated wings peg her as female. 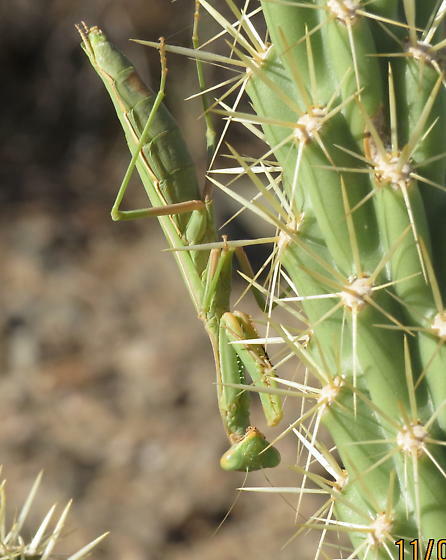 Both sexes of Mantis religiosa have wings reaching the tip of the abdomen.